Eight years ago an event in an Edinburgh community centre gave a glimpse of a different world. 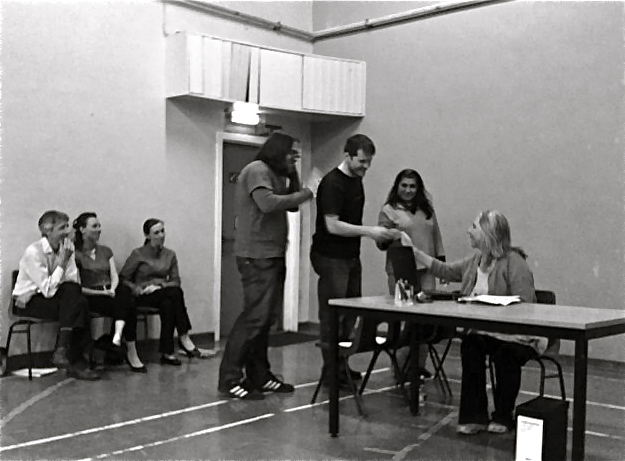 A play invited members of the audience to change the outcome for the better. The event was hosted by a recently established Polish community club and the audience was a multicultural mix of immigrants and locals. With hindsight there was a poignant contrast between the generous spirit in the hall and the fearful politics brewing in the real world outside. Change was in the air in the run up to the 2010 general election. Change was promised by David Cameron campaigning for the Conservative Party and Change was the title of the play presented by ACTive Inquiry. 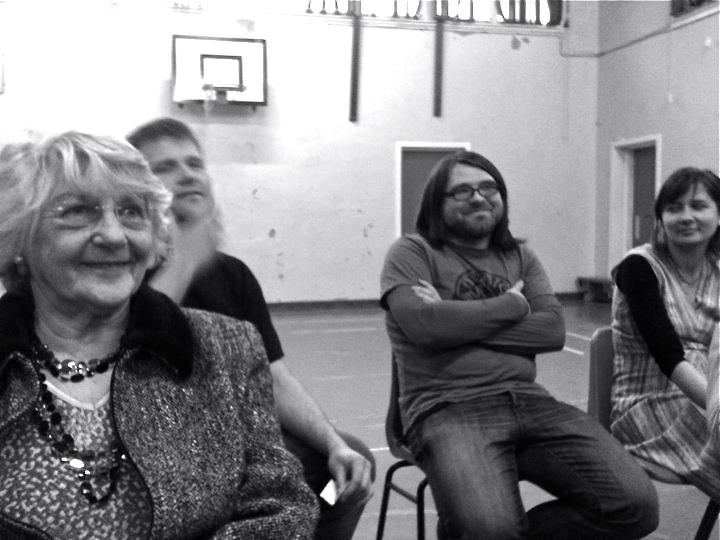 The Leith-based community activist theatre company uses the Forum Theatre methods of Augusto Boal to encourage the audience to engage positively with the action. But, as creative director Gavin Crichton warned the audience, we have to be careful what we mean by change – it doesn’t always turn out for the best. Immigration was already a topic of concern during the election campaign in April 2010. Gordon Brown had just met Mrs Gillian Duffy who complained about the number of East European immigrants ‘flocking in’ to the country. In the car, as he was leaving (forgetting he was still wearing a mic) Brown described Mrs Duffy as a ‘bigoted woman’. We know what happened next. But, two general elections and two referendums later, who then could have imagined just how badly things would turn out. Theresa May has apologised to Caribbean leaders for the anxiety and distress caused to the Windrush Generation, the children of Commonwealth citizens, who have been denied medical care, lost their jobs and threatened with deportation. She blames the previous Labour government for destroying the landing cards of Windrush citizens which would have provided vital evidence they had a right to remain. While Labour questions that charge one fact is undisputed. As Home Secretary from 2010 Mrs May deliberately – proudly – created a ‘hostile environment’ for ‘illegal’ immigrants wherever they come from. Now, as ACTive Inquiry celebrates its tenth anniversary, members of the Polish community in Leith – like three million other EU citizens in the UK – are living in a no man’s land of fear and uncertainty. What will their status be after Brexit in a year’s time? 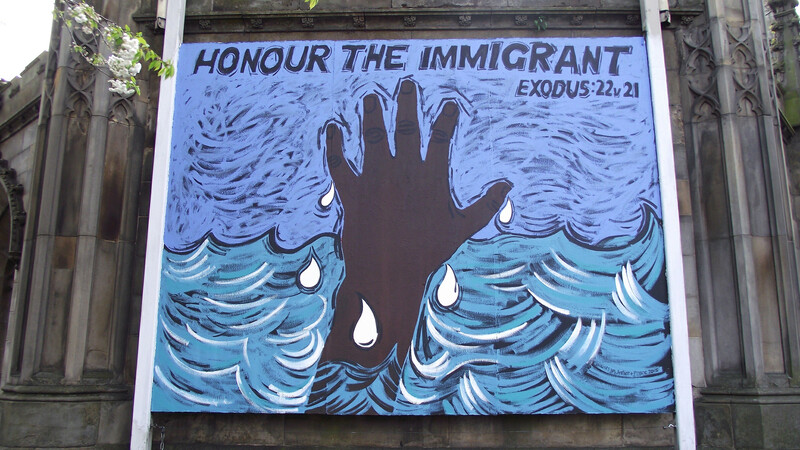 In Leith eight years ago a multicultural audience voted for an outrageously simple change. Here, Sceptical Scot republishes this account from April 2010 with a full disclosure: our co-editor Fay Young is a board member of ACTive Inquiry. Not many people saw it, but last night was a good night for community action. While would-be leaders dominated the television screen, a political drama was quietly unfolding in a Leith community centre which confounds all those fears of immigrants. This is where campaigning politicians ought to be. Here’s community spirit in action in the Fort Community Wing where the Polish drop-in club, Swietlica, works tirelessly to bring people together – celebrating Christmas and St Andrews Night, fundraising for good causes, and sometimes throwing parties just for the fun of it. So it wasn’t surprising that Swietlica hosted the first production of a brave new drama by the Leith community activist theatre group, ACTive Inquiry. Change is a political play (that’s political with a small p) exploring what change means and how we can make it happen. This is deliberately timed to coincide with the election campaign. And it wasn’t surprising that the small audience representing Scottish, Polish, Indian and English communities wholeheartedly entered into the spirit of a form of theatre which demands audience participation. Elsewhere, across the UK, the media was doing its best to stir up ill-informed fear and resentment of strangers, feeding on Gordon Brown’s unscripted reactions to Gillian Duffy’s East European question. Inside a small Edinburgh primary school, some of those strangers were showing just why Leith is possibly the most vibrant and interesting part of Scotland’s capital. The play ended with a competition for a project to change real life for the better. And the clear winners of a small cash prize to make it happen were Maria and Marek for an idea that costs almost nothing to put into action. The other two ideas were good too: a leaflet campaign to promote a club for single mothers and a public event to excite support for pedestrianising The Shore in Leith. And they could still happen. But on an old fashioned show of hands most votes went to the smiles. Smiling Leith simply asks everyone to smile three times a day to a complete stranger. Try it, urged a smiling Maria and Marek, it can make you and someone else feel happier. “I don’t mean a grin,” adds Maria, “I mean a smile from the heart.” (They won £50 towards a poster campaign to make it happen). Audience participation: Mridu, Marek and Marcin (standing) accept a challenge to change the course of events in the play. The author describes the Polish Community in Leith as ‘living in a no-man’s-land of fear and uncertainty.’ Living in Leith I see no sign of this. Watching Polish people fill St Mary’s Cathedral for the swiecenka ceremonies on Holy Saturday, I did not get the impression of a cowed or fearful community. A people which endured the brutality of the Nazi occupation is – thankfully – vastly more resilient than the author presumes. Since the Brexit vote, I have encountered one person speaking critically of the Polish Community in Edinburgh. He was Turkish and a big fan of President Erdogan. I tried, politely, to convince him that his assertion of there being 50,000 Poles in Edinburgh was nonsense. Interestingly, when writing about illegal immigrants, there are inverted commas around the word illegal. Could the author please explain the thinking behind this. Fay Young thanks for your response. I do not believe that the comments of Kasia Kokowska demonstrate that the Polish Community in Leith is living in fear. When you leave one country for another you accept that you are – to some extent – at the mercy of events in the host country. Poles were attracted to the UK from 2004 on, not least because migration to countries closer to Poland, e g Germany, was not an option. Now, it is migration to the UK which looks likely to become restrictive. The legality of migrants may ‘seem’ to you to rest with a single politician. In reality it is decided by Parliament and the judiciary. The Home Office has clear behaved dreadfully over the Windrush migrants. This is hardly a surprise. The Home Office has been dysfunctional/’not fit for purpose’ for decades. The present Home Secretary is falling over herself to apologize because she knows that she faces a well deserved kicking when the cases highlighted in the media reach court.